View Latest Ads in rhodesian ridgebacks Category. 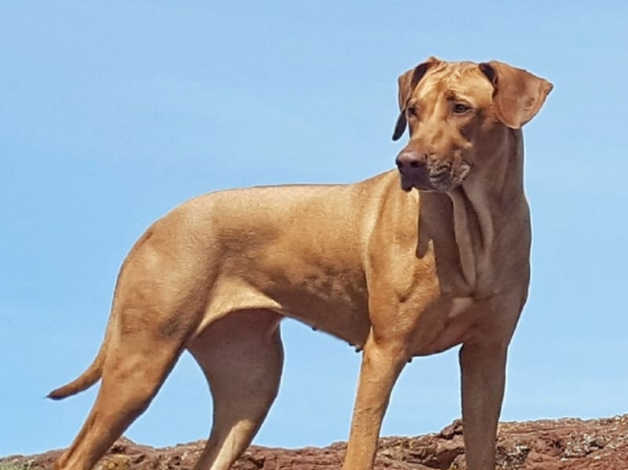 My beautiful livernose Rhodesian Ridgeback Meg is expecting her first litter around the 23rd April, to the very handsome black masked Zeus. Meg and Zeus along with Zeus's brother Odin will be available to meet when visiting the puppies at 4 weeks of age. As these puppies are so dear to us please be prepared to answer a few of our questions. There are no health issues in either dogs family history. We would prefer our puppies to go to homes who have the experience of larger breeds as ridgebacks are not for a first time dog owner. Both ridgebacks live with children and cats and do show the guarding qualities typical of the Rhodesian Ridgback. £200 deposit will be required to secure your pup.